Within the 70 or 75 Series product line, you will find a model that matches your needs for instrumentation, system, or OEM applications. By using the latest design and microelectronics production technologies, Anritsu low-barrier Schottky diode detectors outperform others and offer significant cost savings. Input connector types include Type N, and K Connector® (compatible with SMA and 3.5 mm), and V Connector® (compatible with 2.4 mm). 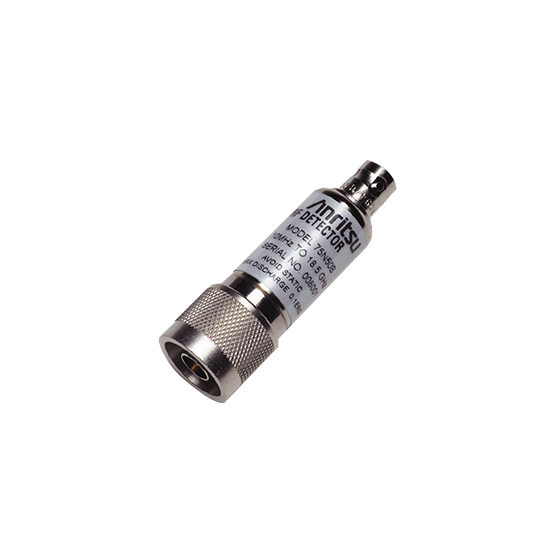 In addition to frequency coverage and price, these detectors are distinguished by their low SWR, flat frequency response, and close outputvoltage tracking over a wide dynamic range.